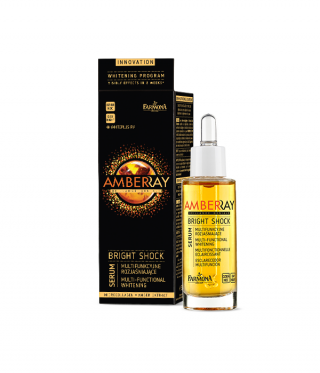 AMBERRAY is a line of specialized skin care products for uneven pigmentation, discoloration and signs of aging such as wrinkles, line, loss of elasticity and firmness. 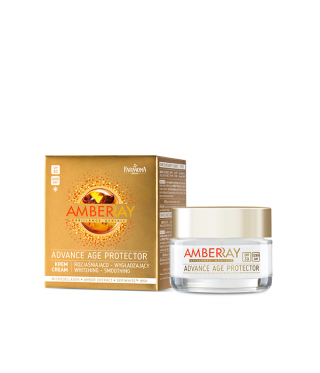 Rich formulations are based on the best active ingredients, providing whitening effect, even skin tone and the perfect dose of moisturizing, firming and smoothing the skin. AMBER is a special ingredient in all products. For centuries it is known for its rejuvenating properties. It is a natural antioxidant, neutralizes free radicals responsible for skin aging, accelerates the cell recovery, regenerates and brightens up even the most tired skin. As a natural UV filter, protects against the harmful effects of solar radiation.